A cliche is something (a phrase, gesture, or trope) that has been overused to a point where it engenders mild disfavor. A formula is something that is tried-and-tested, reliably producing the same result each time it is faithfully followed. While cliches are generally something we like to avoid (unless we are dressing ironically), formulae are very useful in wardrobe planning. 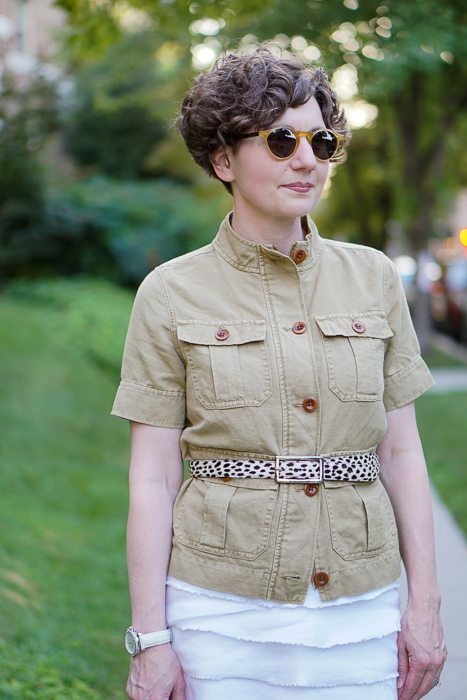 For example, I like a white dress with an earth-toned safari jacket during the hot months. It’s a look that is both polished and seasonally appropriate. Here, I am wearing an old dress with a jacket from this season. with a black sheath and black platform sandals! 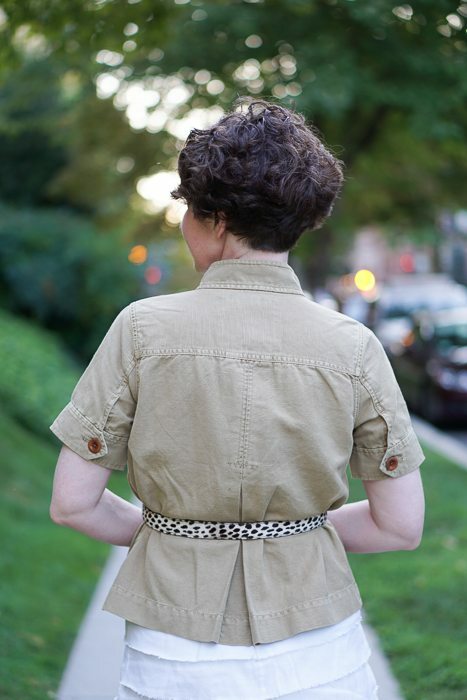 The jacket is boxy and an inverted pleat down the center of the back adds swing and volume. I decided to belt it even though it doesn’t have belt loops and the lower pockets are right were you would most naturally wear a belt. As you can see, I’ve improvised and am wearing the belt over the flaps on those pockets. Am I working the belt, or is the belt working me? The belt works. Why does the belt work? Because the belt is awesome. 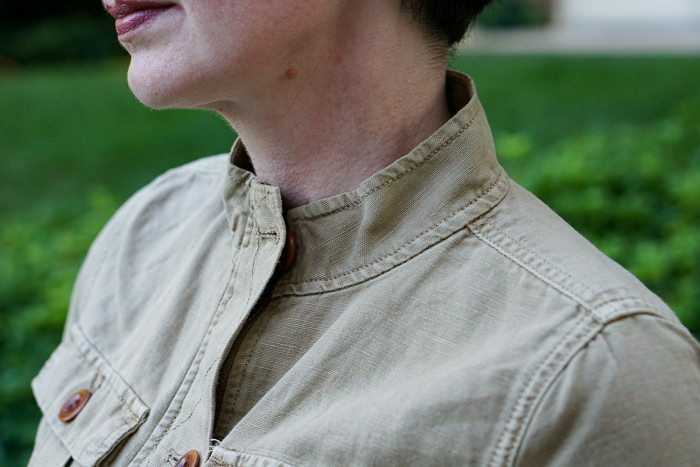 Full disclosure: I bought this jacket for myself and for my mother. I thought she would like it. So . . . my mother and I have matching jackets. These sandals are fine for work during the dog days of summer. 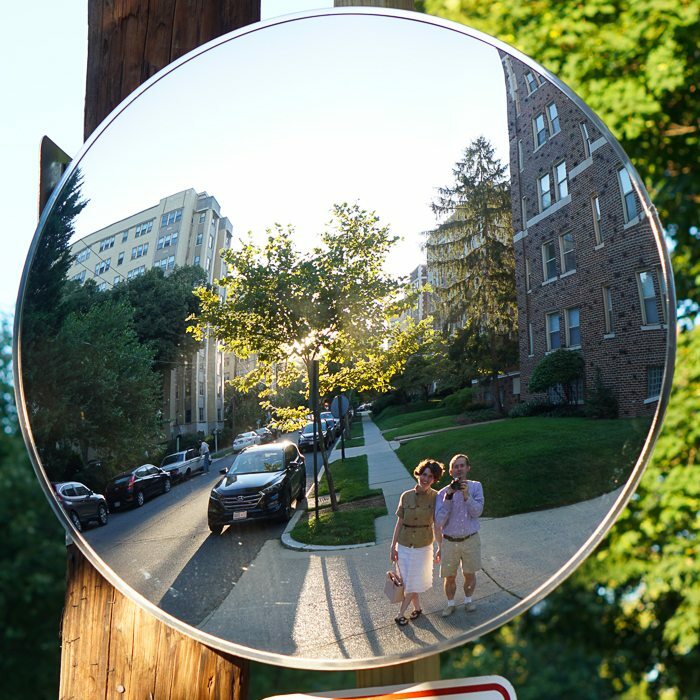 In Washington D.C., it’s over 90 degrees, and the city is noticeably emptier at the end of July and start of August. Those conditions permit a certain level of informality. By the way, I just received a new JCrew catalog for fall — many (italics for emphasis) cute things in it, more than I could possibly try out and write about myself, so you may want to visit the JCrew website sooner rather than later. You are working that belt! I haven’t worn matching clothing with my mother since 1970… there is photo evidence of Easter dresses in lime green floral with white trim. They were lovely. I really like the picture in the mirror! It’s visually engaging, and so nice to see the 2 of you together. Nice photograph of the photographer and subject. You’re looking cool and collected. 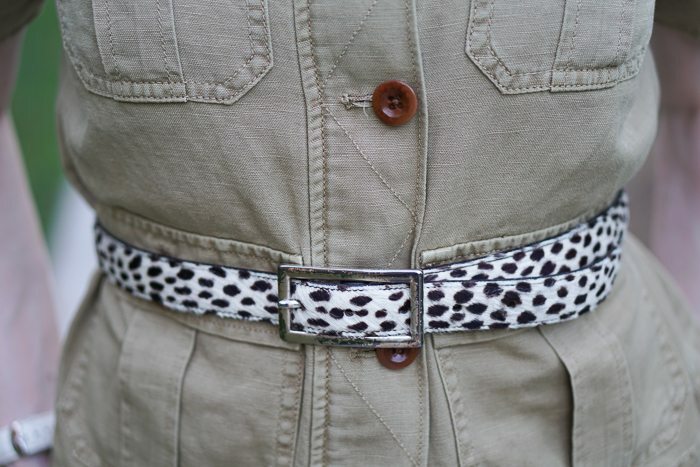 The flap pockets give you a natural spot to anchor the belt. I got that J Crew catalog and have serious shoe desires. The oxfords with the little fringe may be calling my name.